Submissions open for The Best Asian Speculative Fiction anthology! This Call for Submissions is now closed. Authors of selected stories for the anthology have already heard from us. As informed in our emails earlier, we are unable to send individual rejections. We wish you good luck with your submissions elsewhere. Please do bookmark our website and check for future calls. Kitaab is seeking high quality short stories for The Best Asian Speculative Fiction anthology to be published next year. We take a liberal approach towards defining the speculative and will look beyond popular categories of science-fiction, fantasy and horror though these are very much welcome. Our anthology editor is looking forward to reading a variety of stories which could include dystopian, apocalyptic, post-apocalyptic, weird, utopian, alternate history, superhero and any permutations and combinations of these. But first and foremost your story should be engaging with attention to characterisation and plot. Give us stellar tales that slip past the quotidian and the mundane, transporting your reader to the edges of the possible and realms further still. Whisk us away to Murakamiesque wonderlands or Huxleian cacotopias; indulge us with the outré, the outlandish, the uncanny. We are looking here for a whiff of the Asimovian imagination, a taste of Lovecraftian weird, a dash of Atwoodesque futures. Take us on journeys through chinks of space-time, fling us into situations of climate change horror. No fan fiction please. Give us mind-blowing originals. The best three stories (decided by the editor) will get cash prizes or Amazon vouchers (worth $50 each)! All selected contributors will each receive 2 complimentary copies of the final publication. If you are interested to delve a little deeper into speculative fiction, here is an article by Annie Neugebauer. The Best Asian Speculative Fiction anthology will be edited by Rajat Chaudhuri on behalf of Kitaab, Singapore. 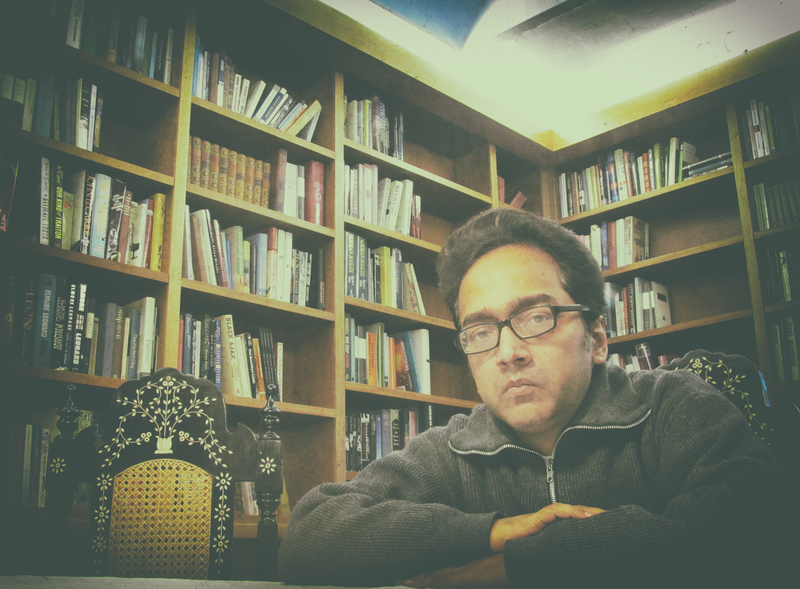 Rajat is the author of three works of fiction – Hotel Calcutta, Amber Dusk and a collection of stories in Bengali titled Calculus. He has been a Charles Wallace Creative Writing Fellow at the University of Chichester, United Kingdom, a Hawthornden Castle Fellow, Scotland, a Korean Arts Council-InKo Fellow resident at Toji Cultural Centre, South Korea and a Sangam House India resident writer. This year, he was a judge for the short story segment of Asian English Olympics organised by BINUS university, Indonesia.